Congratulations are in order for American Ballet Theatre star Gillian Murphy and her husband, former ABT dancer Ethan Stiefel, who are expecting their first child next June! She will not be dancing in the company's upcoming tour or the 2019 Metropolitan Opera House season, but plans to return to the stage next fall. She's not afraid of an adventure. She always looks on the bright side. She's already an experienced Aunt. She has the sweetest BFF. And, of course, one of the fiercest performers we know. From left: ABT principals Isabella Boylston, James Whiteside, Gillian Murphy, Stella Abrera and Cory Stearns with Harvard Business School professor Anita Elberse. Photo Courtesy HBS. Between long rehearsal days, performances and hectic touring schedules, it can be hard for professional dancers to plan for their post-performance careers while they're still onstage. This fall, that changes for five American Ballet Theatre principals. Stella Abrera, Isabella Boylston, Cory Stearns, James Whiteside and Gillian Murphy have been chosen as the first dancers to participate in Crossover Into Business at Harvard Business School, a semester-long program designed for professional athletes. Last year, Crossover Into Business program director and HBS professor Anita Elberse was developing a case study on ABT, and reached out to the company executive director Kara Medoff Barnett, an alumna of HBS. "Anita mentioned the Crossover Program as an experience that has been transformative for professional athletes," says Barnett. "We looked at each other and had the same idea: How about inviting the ABT dancers to sit next to the NBA players?" Last week American Ballet Theatre principal Gillian Murphy danced the iconic dual role of Odette/Odile as part of the company's spring season. In preparation for the performance she posted an adorable photo from her childhood on Instagram of her posing in costume as the Black Swan. Murphy also admits that as a young dancer she was determined to master the 32 fouettés, which Odile performs at the climax of the Black Swan pas de deux. Her performance in this clip from a 2005 performance, alongside former ABT principal Angel Corella as Siegfried, makes it obvious as to why this childhood dream role is now one of her signatures. The wait for Alexei Ratmansky's restaging of Petipa's Harlequinade is almost over! 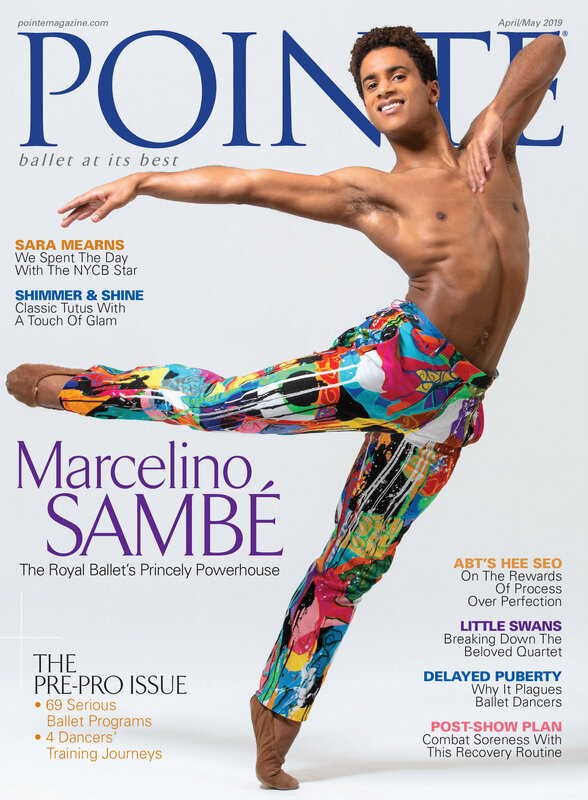 But if you can't wait until American Ballet Theatre officially debuts the ballet at the Metropolitan Opera House on June 6, we've got you covered. ABT brought the Harlequinade characters to life (and to the Alder Mansion in Yonkers, NY) in a short film by Ezra Hurwitz, and it's a guaranteed to make you laugh. 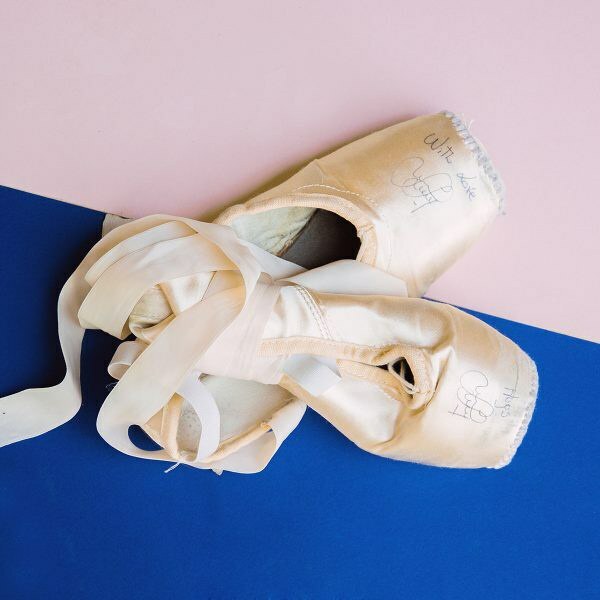 As dancers, we know why we love ballet—but for a new audience member, our beautiful, silent art form may seem like a mystery. Enter Celestial Bodies: How to Look at Ballet. Written by celebrated dance critic Laura Jacobs, this new book (available May 8 from Basic Books) offers insights on how burgeoning ballet fans can better understand and appreciate the choreographic language they're watching onstage. But it's also a compelling read for dancers and experienced dance lovers. It's that time of year again—recital season! And not so long ago, some of your favorite ballet dancers were having their own recital experiences: dancing, discovering, bowing, laughing, receiving after-show flowers, making memories, and, of course, having their pictures taken! 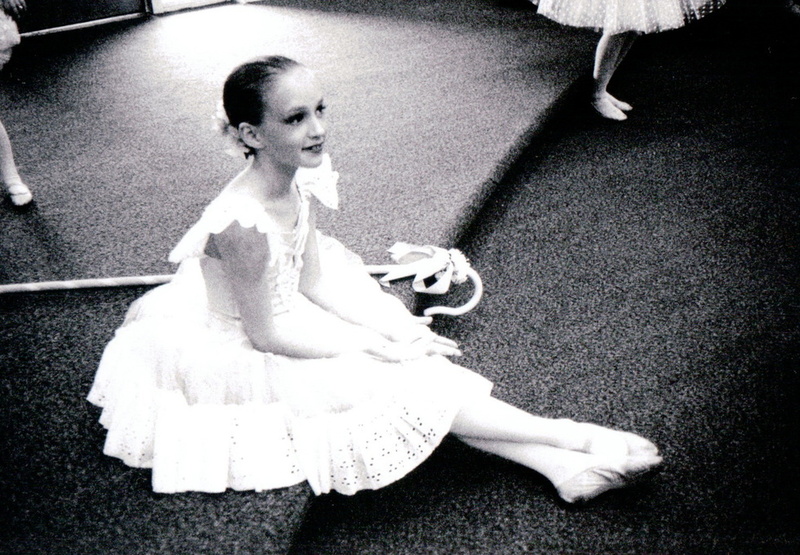 For this week's #TBT, we gathered recital photos—and the stories behind them—from five of our favorite dancers. Murphy gets ready for her role as "Mary Had a Little Lamb." Photo courtesy Gillian Murphy. "This photo was taken by my mom when I was 11, waiting in the dressing room (the band room of West Florence High School in South Carolina) before I went onstage as 'Mary' for a recital piece featuring 3-year-olds as little lambs.I had so much fun being the teacher's assistant in the baby ballet class each week, particularly because my little sister Tessa [pictured below] was one of the 3-year-olds. I remember feeling quite grown up at the time because I was dancing in the older kids' recital piece later in the program, but in this moment I was just looking forward to leading my little lambs onstage in their number." Photo via @abtofficial on Instagram. Though according to our calendars today is the first day of spring, it feels like anything but. That's why we've been extra jealous watching American Ballet Theatre dancers' Instagram posts from their tour to Singapore. From swimming in rooftop pools to hiking with monkeys to jet-lag influenced shenanigans (oh, and dancing Swan Lake), their photos are making us believe that warm weather really is on its way. We rounded up some of our favorite shots from the first half of ABT's Asian tour; they'll spend this week in Hong Kong dancing Alexei Ratmansky's Whipped Cream. Keep the photos coming, ABT! Rather than cling onto the railing in fear (like we would have), Isabella Boylston stepped gracefully into the highest pool in the world with a low arabesque.